Janet M. Christianson, 72 of West Prairie, rural Viroqua, passed away at the Bland-Bekkedal Center for Hospice in Viroqua on Sunday, November 11th, 2018. She was born in Viroqua on September 25th, 1946 to Andrew and Verda (Geddes) Hanson. She attended Folsom School and graduated from Kickapoo High School in 1964. She worked at Bowl Away Lanes in Viroqua. On June 27th, 1970 she married Marvin Christianson. They have made their home on the family farm since that time. She was a charter member of the Viroqua Eagles Auxiliary No. 2707 where she held the position of Trustee for several years. She was the local Chairman for the State Project, calling and recruiting hundreds of Auxiliary members for donations. Janet was a member of Northwest Prairie Lutheran Church and was instrumental in starting their annual catfish fry and bake sale. She assisted with the event over the last 20 years. She also worked at the voting polls in Sterling Township. 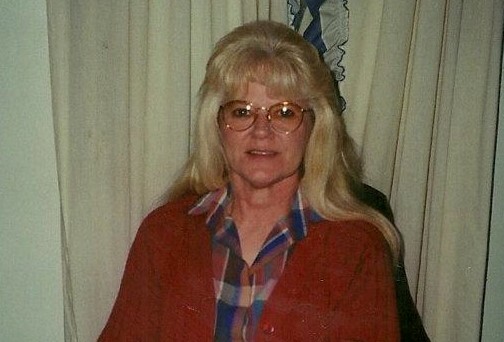 She loved country music and enjoyed curling up with a good mystery book and a cat or two on her lap. Her love of animals was unending as well as her love of children. She enjoyed dancing, attending concerts, and going out to eat. She is survived by her husband, Marvin of 48 years. Her sister; Dolores (Barney) Huffar. Sister in law, Bonnie Hanson, Nieces and nephews; Kathy (Ron) Freymiller, Kristy (David) Mikkelson, Rich (Kim) Krogan, Becky (Greg) Swann, Tammy Hanson, Betsy (Josh) Hanson, Michelle (Jareth) Hagen, Barbara (Andy) Hauke, Art (Denise) Meyer, Steve Christianson, Linda (Dewey) Sherry, Brenda (Johnny) Hanson, Mark (Patty) Christianson, David (Ann Marie) Christianson and her brother-in-law, Arthur Meyer, Jr. she was loved by many relatives and a wealth of friends. She is preceded in death by her parents, Andrew and Verda Hanson, her brother, Linford (Lynn) Hanson, nephew, Larry Kearney, great nephew, Kyle Howell. In laws; Henry and Leora Christianson, sister-in-law, Bev Meyer and a brother-in-law, Harold Christianson. Her family would like to acknowledge the special bond that existed between Janet and Julie Nevers PA-C. We would have been lost without her these passed weeks and years. Special thanks to her nieces Kristy and Becky for remaining by her bedside this last week. A special thanks to a very special niece Barb Hauke. Many thanks to all of the friends and neighbors. Many thanks and much appreciation to the staff at Vernon Memorial Hospital and Bland-Bekkedal Center for Hospice. Your care and attentiveness to Janet and her family are simply immeasurable. To her pathology team; Dr. Gold, Dr. Jumonville and Dale Groshek, PA-C of Gunderson in La Crosse. We cannot express to you enough, our gratitude for helping her to fight the good fight. Funeral services will be held at 11 a.m. on Thursday, November 15th at Thorson Funeral Home in Viroqua with Pastor Jim Folz officiating. Burial will be in the North West Prairie Cemetery. Friends may call at the Thorson Funeral Home in Viroqua on Wednesday, November 14th from 5-7 p.m. There will be a Viroqua Eagles Auxiliary service at 6:45 p.m. and a prayer service at 7 p.m. Friends may also call at the funeral home after 10 a.m. on Thursday. The family suggests memorials to Bland-Bekkedal Center for Hospice Care, Northwest Prairie Cemetery Fund or memorial of donor’s choice. To visit the full obituary or leave a condolence for the family, please visit: www.thorsonfuneralhome.com. The Thorson Funeral Home and Cremation Service is proudly assisting the family with arrangements.